This is the opening sentence of Lisa Harris’s Hidden Agenda, and the tension escalates from that moment. Michael, an undercover cop investigating a drug cartel, has had his cover blown and has only a few hours to live. He is rescued by Ivan and Olivia, the son and daughter of Antonio Valez, the head of the cartel. The story is fast-paced and believable, as the trio makes their escape from a heavily-guarded island, only to discover that Michael is also wanted by the police for a number of serious crimes. There is an emotional tug each time Olivia and Ivan discover key people from their past are not who they believed them to be. This is a direct contrast to the united and caring Hunt family who don’t hesitate to drop everything and come alongside Michael and Olivia. The plot line is clever and keeps you guessing while each character is well defined. As a refreshing change for this genre of book, the three main characters all share a strong faith while still being far from perfect. Where Olivia has difficulty releasing a protective control over her younger, deaf brother, Michael too is overly protective of his family and later Olivia. Even the two main “bad guys” have their soft spots and you can’t help having a smidgeon of sympathy with them, despite their evil way of life. Despite the seedy background of drug running, Lisa has managed to keep the language clean while not in any way watering down the vivid narrative. I read this book in less than 24 hours, reading until late at night and sneaking in a reading time the following afternoon to finish it. If you enjoy suspense stories with some romance, you will enjoy this book. I don’t hesitate to give it a 5-star rating. 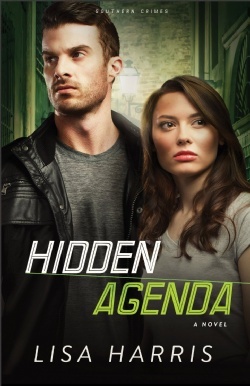 Hidden Agenda can be purchased here. Thank you to Revell Reads for giving me this book for an unbiased review. 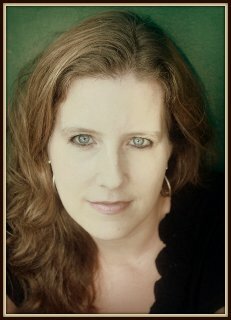 LISA HARRIS is a Christy Award finalist for Blood Ransom, Christy Award winner forDangerous Passage, and the winner of the Best Inspirational Suspense Novel for 2011from Romantic Times.